This monograph presents the most extensive study to this day of Anna Bērzkalne. After giving an overview of the studies concerning the period and Bērzkalne's personality (Chapter I), it examines her biography (Chapter II). Overall, Bērzkalne's professional activities are analysed in the context of international folkloristics. A major part of the book Anna Bērzkalne (Chapter III) is dedicated to illuminating her cross-border professional contacts and how Latvian folkloristics was advanced through contact from other European countries due to Bērzkalne's international openness. When it comes to the methodological basis of the Archives of Latvian Folklore (Chapter IV), several foreign patterns can be observed which were brought to Latvia by Bērzkalne. The concluding part of the monograph (Chapter V) is devoted to the presence of the 'Finnish school' or the historic-geographical method in works by Anna Bērzkalne. Bērzkalne considered the introduction of the method in Latvia to be her scholarly duty. She consistently promoted the historic-geographical method of folklore research and the folkloristic work of Estonian and Finnish colleagues in her published works and presentations. The primary sources of Rita Treija's monograph Anna Bērzkalne consist of a wide range of unpublished material and Anna Bērzkalne’s scholarly and popular publications as well as those of her contemporaries. The epistolary body studied consists of several hundred personal correspondence items. 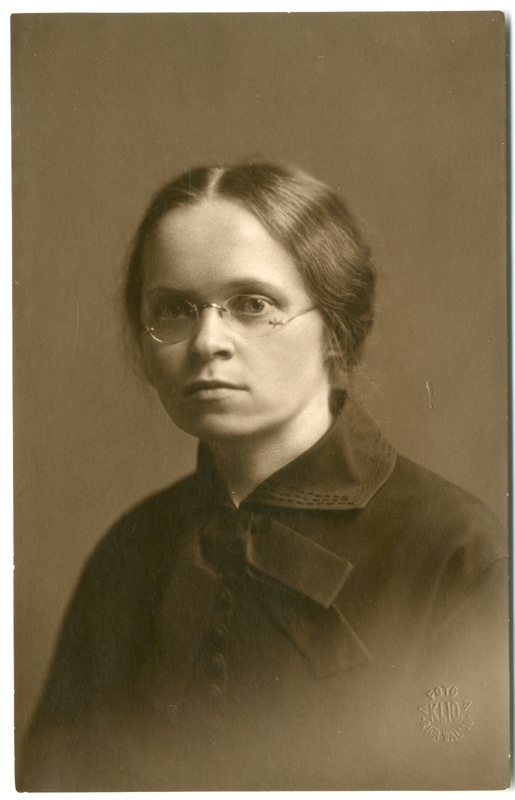 Anna Bērzkalne exchanged letters primarily with the researchers from Estonia, Finland, and Germany. But the geography of the international contacts also covers Lithuania, Russia, Sweden, Norway, Denmark, the Netherlands, Switzerland, and Italy. There are letters by Anna Bērzkalne's folklore teachers (Walter Anderson, Kaarle Krohn, and John Meier), close foreign colleagues and friends (Oskar Loorits, Elsa Enäjärvi-Haavio) and other folklorists in Anna Bērzkalne’s fund at the Department of Rare Books and Manuscripts of the Academic Library of the University of Latvia. The other part of the correspondence, the letters written by Anna Bērzkalne, as well as other documents tracing her life paths can be found in the holdings of various foreign archives. For the purposes of the present study, the following foreign archives have been examined for the materials: the Estonian Cultural History Archives of the Estonian Literary Museum, (Eesti Kirjandusmuuseumi Kultuurilooline Arhiiv) and the Estonian Historical Archives (Eesti Ajalooarhiiv) in Tartu, the Literary Archives of the Finnish Literature Society, (Suomalaisen Kirjallisuuden Seura, Kirjallisuusarkisto) in Helsinki, the German Folksong Archive (Deutsches Volksliedarchiv) in Freiburg, and the Danish Folklore Archives at the Royal Library, (Det Kongelige Bibliotek, Dansk Folkemindesamling) in Copenhagen, the National Archives of the Republic of Tatarstan (Национальный архив Республики Татарстан) in Kazan. Anna Bērzkalne's private documents as well as the official correspondence and the institutional records are also kept by other document repositories in Latvia besides the Academic Library of the University of Latvia: the Archives of Latvian Folklore, the Institute of Literature, Folklore and Art of the University of Latvia; the Madona Museum of Local History and Art; the History Museum of the University of Latvia; the Archives of the University of Latvia; the Department of the Rare Books and Manuscripts, the Baltic Central Library, the Department of the Small Prints of the National Library of Latvia; the Latvian State Historical Archives; the State Archives of Latvia; the National History Museum of Latvia; the Literature and Music Museum. Other sources of information and research include several interviews conducted by the author of the book.